Beautiful sunny day with just a breath of breeze. A lovely day to potter around the garden and appreciate Spring starting to get underway. 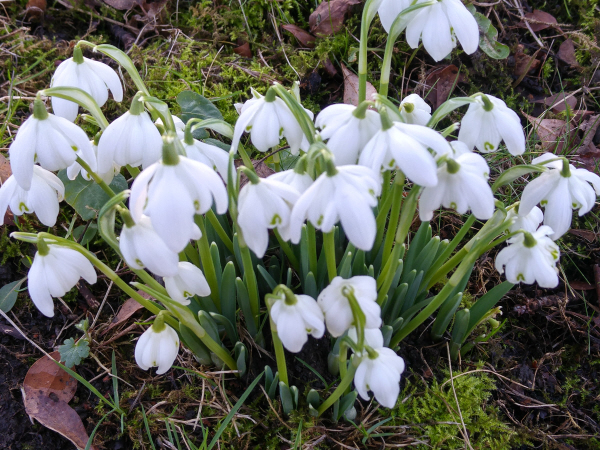 Snowdrops are all over the grass and in and around the flower beds, bobbing gently and shining happily in the sun. 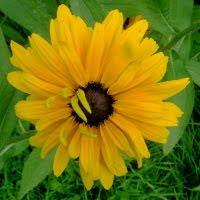 There are lots of different types - tall elegant single flowers and short, squat frilly-flowers all lightly marked with green spots or edges. 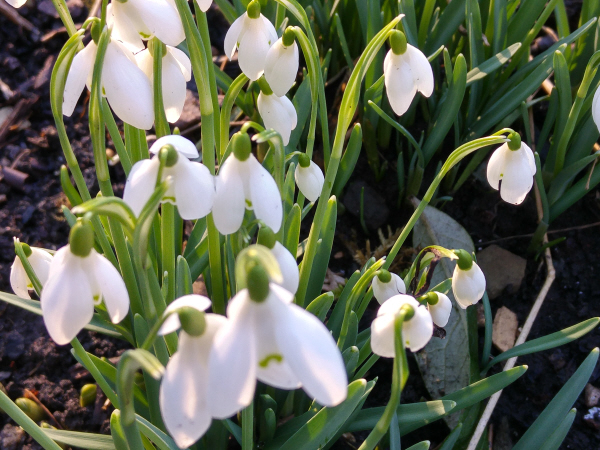 Elegant single snowdrops in the sun..